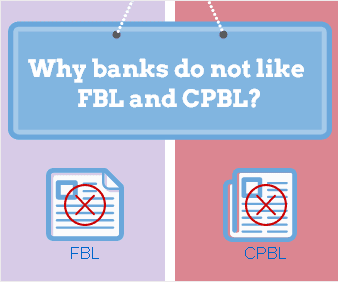 Why banks do not like FBL and CPBL? FBL is the short form of Freight Forwarder Bill of Lading or Forwarder's Bill of Lading and CPBL is the short form of Charter Party Bill of Lading. Banks, especially in letter of credit transactions, do not accept presentation of a FBL instead of a marine bill of lading, unless FBL is signed by the freight forwarder "as carrier" or "as agent on behalf of the carrier"or else presentation of FBL expressly permitted in the letter of credit. Likewise a CPBL can only be acceptable if letter of credit requests presentation of a Charter Party Bill of Lading. 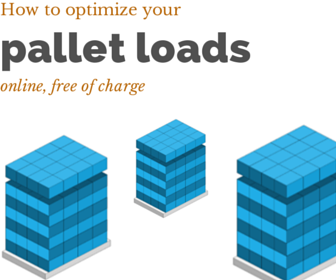 Today I would like to explain why banks do not accept CPBL or FBL instead of bill of lading. Some Islamic Banks even purchase goods on behalf of their clients and resell them back with a profit, as Islamic rhetoric prohibits all kinds of interest earnings to persons and financial institutions. In situations, where banks pay the letter of credit amount in advance long before they have received any money from their clients, they would like to secure the goods as a collateral against their expenses and risks. In respect to issuing banks perspective, negotiable bill of lading is the most reliable transport document, which protects issuing banks rights over the goods. Negotiable bill of lading, which is issued by the carrier or a named agent on behalf of the carrier, is a direct evidence of contract of carriage, that is established between the carrier, who is also the shipowner in this case, and the consignee. Neither FBL nor CPBL evidence actual carrier's or shipowner's contract of carriage terms and conditions. FBL printed on freight forwarder's bill of lading format and only states the terms and conditions of the forwarding company, as a result consignee will not be having a legal protection in case the goods are damaged or lost in transit. Additionally consignee may not be able to collect goods from the carrier at the port of discharge by surrendering FBL to the carrier, in case Freight Forwarder and carrier are in a financial dispute. CPBL is a short form or blank back bill of lading type, which references charter party contract for the carriage of the goods. In case shipowner could not get his payment from the charterer for hiring of the vessel, he can demand the vessel back from the charterer and claims freight to be paid himself instead of the charterer. Additionally shipowner could extend the lien to cargo on board of the vessel. Both FBL and CPBL do not give enough assurance as a transport document over the goods to the issuing banks, as a result under letter of credit transactions issuing banks tend to work with negotiable marine bill of lading. What is a charter party bill of lading? What is a straight bill of lading? What does cy/cy mean on a bill of lading?